Answer: Asking the RIGHT QUESTIONS in the right way and in the right time is critically important if you want to be guided to live an extraordinary life. What is true for one person at one period in their life may in fact change over time, as they explore and come to know a deeper Absolute Truth, experience epiphany moments, and as they grow and evolve. Further complicating things, what seems true for one person may not feel true for another. You want to know the Truth? Be sure you’re willing to handle the Truth when it comes. Because when the student is ready, the teacher appears. And the answers are not always easy, nor do they conform to what we thought we knew, what we were expecting, or what we’ve been taught or what we had accepted before or told was true by a respected authority figure. Human viewpoints are only ever reflective of what that human has learned, been taught or experienced for themselves. Some lucky ones have tapped in and channeled Universal Truth. When we hear it, it resonates deeply within us and we feel clarity. Others have gotten lost in dogma, religious agendas and fanaticism. So much suffering has come from beliefs and conformists who want others to believe and behave the way they want. Whether you follow the teachings of Christianity, Buddhism, Muslim, Torah, the Koran, or any of a multitude of belief systems, please don’t just accept everything you’re told. In other words, don’t be so “open” that your brains fall out! Test what you’re being taught, question things, and be a seeker of Truth. When you experience life from your heart space, you’ll find Truth in remarkable ways and places. Animals started teaching me about Truth when I began communicating with them. They are most closely connected to Source, the Universe and know things we do not. They have a wisdom all their own that often surpasses human intelligence. I call these amazing beings angels, teachers, healers and Wise Ones disguised as animals. Often they know what is True and what is not so they can help guide you on your spiritual journey towards enlightenment, but only when you know how to access their wisdom, hear their thoughts and invite them to share their heart. Truth comes to us through experiences, through seemingly chance encounters and synchronicities, through religious documents, through epiphany’s and breakthroughs of understanding. Like Star Wars, Truth can be found in movies, in stories, music, myths and in books (fiction and non-fiction). Teachers, gurus, ascended masters and our animals are here to help us connect with and understand Truth, but not all of them are created equally. Some know much more than others. Our interactions with each other teach us about ourselves and who we truly are, and ultimately guide us to the Truth. No one has ALL the Truths because they unfold for us when we are ready and when we ask the right question. But you do have a way to access and find them for yourself by seeking them diligently and with an open heart and mind, trusting your own intuitive ‘knowing’ and practice testing what you get. When you learn to trust your own intuition, you will have an internal GPS system that can guide you through what is true, what is True-er, what is Absolute Truth, and what is simply untrue. (I teach how to do this in the Awaken Your Inner Guidance System course!). What is intuition? And what does listening to our ‘gut’ have to do with truth? It is fascinating to realize that your conscious mind actually recognizes, reevaluates and reinterprets “life” after it has already happened based on prior conceptions, attitudes, expectations and beliefs. And if the ego mind is given data that doesn’t conform or fit with what it thinks it already knows, then it will either discard it or rewrite it to fit prior expectations and conceptions. Tricky, eh? Since your subconscious mind takes in millions of bits of information in mere nanoseconds, it processes this information and gives your conscious mind the filtered data. If you don’t listen to your intuitive knowing, then you can’t make decisions from a quantum leap perspective. It happens so quickly that you have a sense of simply “knowing” the right from the wrong, the positive from the negative, the True from the untrue. Someone recently shared with me how they “feel” a knowingness in their body. When something is wrong she gets a strong tingly feeling in her chest. When she needs to make a decision about something she will quiet her mind and ask a question. If the answer is yes she gets a strong feeling of calmness all over. She has learned the art of discernment. Center yourself and get quiet. Follow your breath, in and out, and relax more with every breath cycle. To do this well, it is helpful to stand tall and balanced, but if you prefer to sit, that’s ok. It just may be a little harder at first until you get the hang of it. Close your eyes and feel the ground beneath your feet, the energies of the earth, and be fully present, right here, right now, nothing added. Let everything else go. Connect with your heart (superconscious mind). Imagine that your heart has a direct connection with the Truth, and trust that this is so. Connect with your gut (unconscious mind). Did you know that your gut possesses neural cells and is in fact your first brain? Neural cells originated in the gut first when your body was being formed in the womb, then a portion of these cells split off and began to form your spinal cord, then they formed your heart which is also lined with neural cells, then eventually became your head brain. Connect with the idea, concept, or object that you are curious about and ask your question. Then, invite your body to either Lean In (meaning: yes I want more of that or I’m drawn to that, it’s okay to go there, it feels true) or Pulling Back (meaning: no that’s not good for me or I don’t want that, don’t go there, something is wrong or untrue). Then, simply wait for your intuition (your gut) to signal you with its answer. Be patient. Receiving your answer can take as long as a second or a minute or two, depending on your ability to be fully present and clear in your request, and how much practice you have. Pulling Back means there’s something there that is repellant to your bodymind and intuitive knowing, an untruth, a lie or it’s simply not right for you at this time. Standing in balance without leaning in or pushing away means your bodymind is neutral on the subject, it’s neither good or bad, positive or negative, true or untrue. It can also mean you have asked a question that is unclear or the answer isn’t a simple yes, no or neutral. 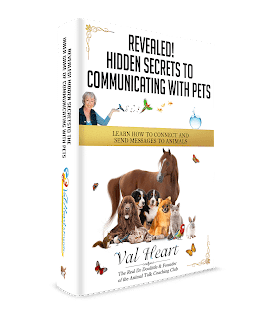 Ready to learn how to talk to animals yourself? Check out all of my courses at Learnhowtotalktoanimals.com, Start Here! Take a look and choose what most appeals to you. If you are a newbie, then I highly recommend starting with the Beginning Core Foundations Course. 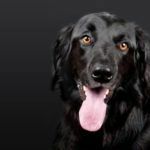 The Advanced Animal Talk Mastery Course is awesome and includes many of my favorite, most powerful healing techniques along with many specific topics that every animal talk student needs to know how to deal with successfully. Great information! In our hurry up world of today, more suggestions of “tuneing in” need to be addressed! I really believe the”cell phone” is rooted in our demise.We need to stop using our”fingers” and listen to our gut! Thank you for easy to understand exercises which I am willing to try! A new world awaits! !